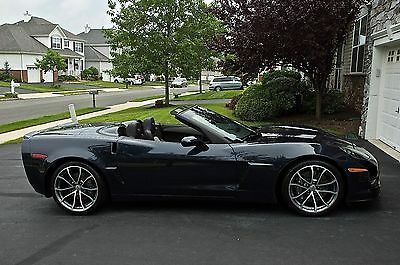 2012 Chevrolet Corvette Grand Sport Convertible 2012 Corvette Grand Sport "Heritage Edition" Convertible --Immaculate! 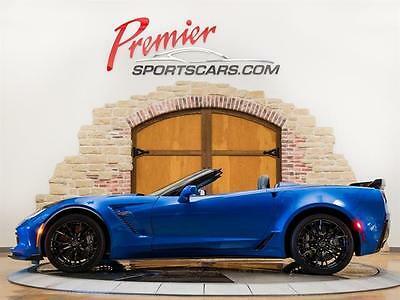 This Listing is for a Limited Edition Grand Sport 2LT Convertible "Heritage Edition" Corvette in Immaculate Condition with NPP Dual Exhaust including a Separate Remote To Activate Them For That Racing Engine Sound along with Increased Horsepower. 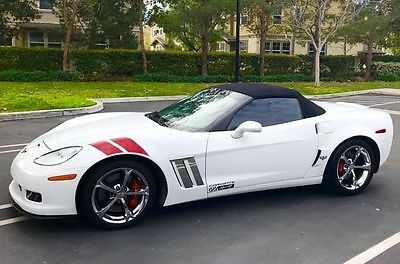 Custom Exhaust Chrome Plate with Corvette Flag Logo, Custom Raised Painted Wide LED Spoiler, Red Brake Calipers with Matching Racing Stripes, Red & Black Interior with Customized Headrest "Grand Sport" Logo, Extra Wide Michelin Pilot Super Sport Tires (Back: 345/30/19 and Front: 275/35/18) with Scratch Free Chrome Wheels. Also, Custom LED Lights which Turn From White to Amber when Turn Signals are Operated. Red LED Accent lights Inside Fender Grill at Night Which Illuminate. Optima Ultra High Performance Battery. Professionally Installed Carbon Tint. 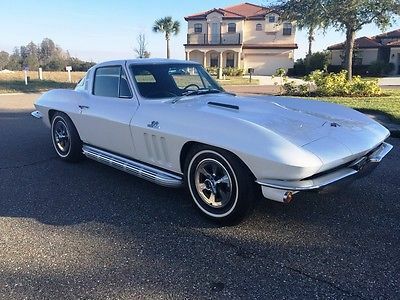 Never Been in Any Accidents, Always Garaged, No Snow, No Dents, Dings, Scratches, No History, No Wear Marks on Seats, Shiny and Super Smooth Paint. Satellite Radio, Newer Tires, Non-Smoker. Title in Hand. 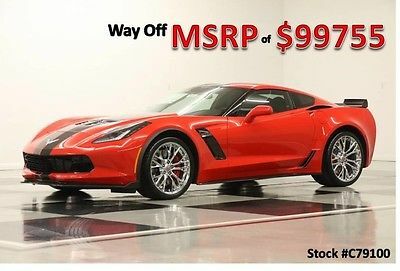 Serious Qualified Buyers Only! Email with Any Questions. No Telemarketers and No Trade Offers Please. 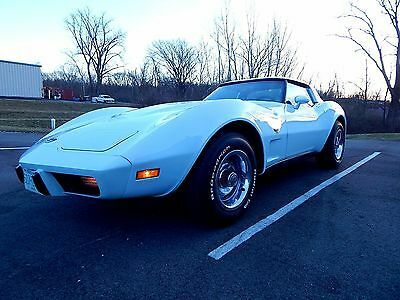 This classic Corvette is a 30k mile survivor; code 26 Corvette Light Blue (I have seen it referenced as Frost Blue) and represents just 4% of 1978 production with original untouched (except for maintenance items) numbers match engine, transmission, carburetor, starter, alternator, and with factory grease crayon marks still on the frame and chassis components throughout, and broadcast spring tags still on the coil springs. Original exhaust system still has its heat shields and clean catalytic converter. Never-mounted spare tire is the early '78 production "safety yellow" wheel as it should be. The beautiful Dark Blue leather interior - impeccable when you consider its age - still smells like leather. The AC still works, power antenna still goes up and down with the radio, power windows buzz up and down, delay dome lights and key buzzer still work, the engine runs smoothly and the car drives like new with a firm brake pedal. 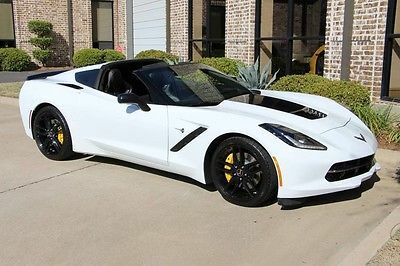 The brake calipers, master cylinder, brake hoses and pads were all replaced in 2009 along with engine belts, hoses and the like in the course of normal maintenance (when it was 31 years old). I would place the body paint in #2 original condition on a 1-5 scale, 1 being the best, with only minor flaws. 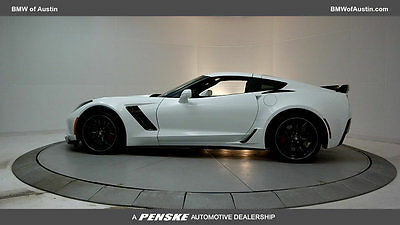 Look at the pictures as they are accurate; the car looks this nice. Fiberglass is the same. Look at the chassis and engine photos as this is a “nothing to hide” car with only factory-applied paints and coatings on the hard parts. This means the chassis has not been painted, touched-up or undercoated in a pre-sale regimen in order to hide shortcomings. Same with the engine; it is what the factory built ( except for belts, hoses and maintenance items ) with no painting existing parts or swapping of original parts for aftermarket performance stuff. Grease crayon numbers are still visible on the side of the engine block from the Flint engine plant that built it in 1978 . The body mount bushings which are typically in dire need of replacement by now are amazingly nice and need nothing. Look at the body photos as this color can change with different lighting from light blue to white. Then study the superb gaps and panel alignment as they are factory-fresh on this no-hit body with much original paint still present. Some minor panel seam reworking and blended paint has been done at some point as anyone with a late 70’s shark will tell you how the seams shrink. And the original bumpers - still the original urethane and still in remarkable condition. Notice the stance of this car as the suspension (except for shocks) is original and ride height is factory-issue. Again, all the factory crayon marks on the chassis and components and much original frame paint still present amongst only minor surface rust / aging. Think NCRS. Tank sticker is detached and comes with the car (originally delivered to Walter Chevrolet in Raleigh, NC), as does the original owner's manual and service records. 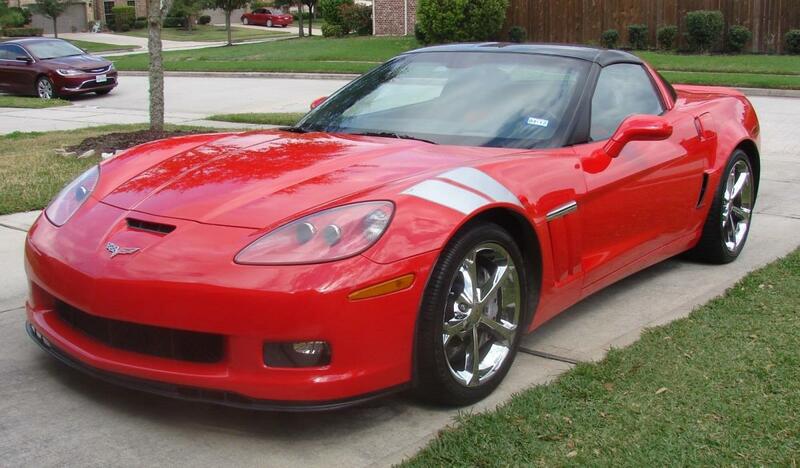 I’m in the Corvette restoration business and active on the national judging field. 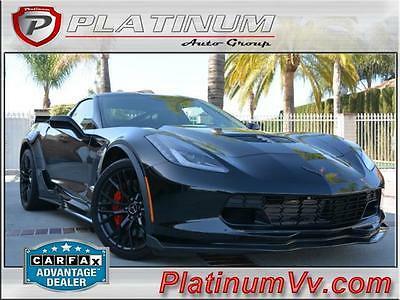 I see hundreds of Corvettes each year, and I can tell you that the ones on the judging field for "Flight" judging or "Gold" have been restored to "like new" condition. The ones going for "Bowtie" or "Survivor" are like this car. These don't come along too often. I would put this car in #2 original condition ( 1-5 where 1 is the best ). NADA Classic Car Guide: Avg. retail $13,800 ; high retail $24,200. Collector Car Market Review: #2 condition: $14,325; #1 condition: $22,000 ( Edmunds and KBB price guides do not do classic years ). 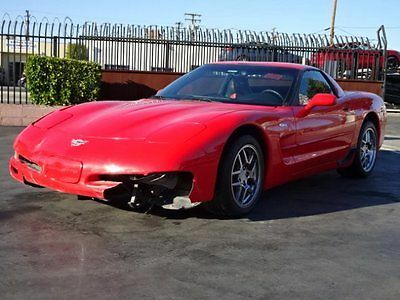 This Corvette is priced below these value ratings at $13,500; final price. I will accept Bank / Cashier's check or direct deposit to my bank account. Car will be held until funds are verified. 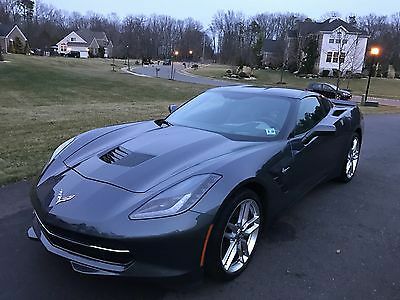 2003 Chevrolet Corvette Z06 2003 Chevrolet Corvette Z06 Hardtop Damaged Salvage Perfect Project Must See!! 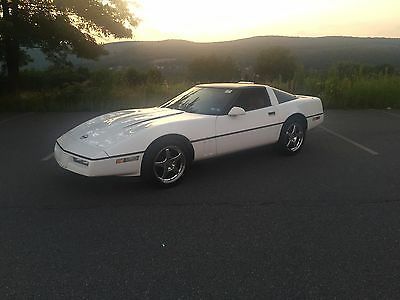 1989 Corvette! Runs amazing! 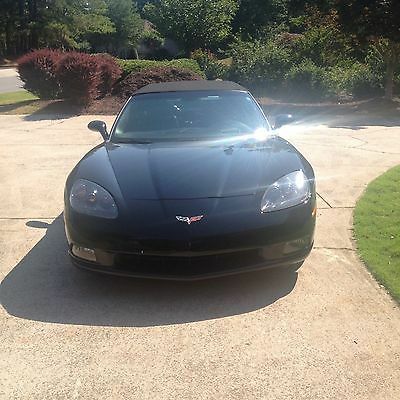 Has been daily driven in spring and summer. Everything on the car works great. I bought it when it had 67,000 miles and have driven it for almost 4 years. I received it in great condition and I have kept it in great condition. I babied this thing and kept it cleaned and waxed. Was always garaged during winter. Paint is great, few small nicks from driving the car, but shines like a beauty. Have at least $1500 into the stereo, including an 8 inch Subwoofer and Amps. Stereo sounds very clear and was installed professionally. 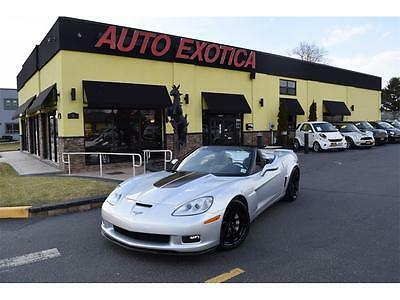 Chrome ZR1 Rims really make this car stand out! Also, the roof is black, not a clear see through roof. This car won a descent size car show last summer as shown in the one picture. And here is a list of other things done to it. Performance Mods:Magnaflow ExhaustVortex Ram Air IntakeComputer Chip from PCM of NC New parts:Brake BoosterMaster CylinderPerformance StarterCatalytic ConvertersWater pumpHeadlights and tailightsHeadliner for Targa TopGears in headlightsBattery Any questions please call me at (570) 709-9761. Thank you.